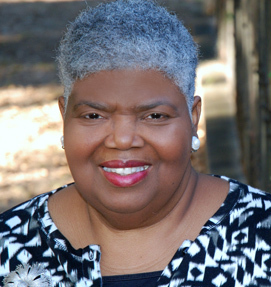 Wanda Johnson is a professional storyteller, teaching artist, and inspirational speaker. As a storyteller, she challenges her audience to take pride in the lessons, rituals, and experiences of life. She encourages young and old to appreciate their personal stories as lasting wealth that should be passed on and preserved. As a teaching artist, Mrs. Johnson uses her craft to teach others how to use stories and to inspire them to tell their own stories. The personality, humor, and charm of this sought-after inspirational speaker touch hearts, inspire dreams, and stimulate the imagination. During more than 20 years in the field of education, this award winning educator taught all age levels in a variety of educational settings. As a performing artist Wanda has received a number of regional, state, and local awards and recognitions. She is an Alabama Folklife Association Alabama Community Scholar. Wanda is the recipient of the Alabama State Council on the Arts (ASCA) Individual Artist Fellowship. As an ASCA Rural School Touring Program artist Wanda performed in elementary, middle, and high schools. Wanda Johnson is an Alabama Institute for Education in the Arts (AIEA) DANA Foundation-funded Black Belt Trained Teaching Artist. Her story The Living Room from her debut CD Rich in Love and More Family Stories received the Storytelling World Honor Award for Pre- Adolescent Listeners. Wanda has been featured on the Exchange Place Stage at the National Storytelling Festival in Jonesborough, Tennessee, Alabama Tale Tellin’ Festival in Selma, Alabama, and Azalea Storytelling Festival in LaGrange, Georgia. She has been a keynote speaker for a variety of meetings and conferences including the Alabama School Nutrition Association Conference, Port City Chapter of Blacks in Government’s Annual Martin Luther King Jr. Memorial Breakfast, as well as a keynote speaker for public and private school systems’ opening institutes and orientations days. Wanda Johnson models interesting and expressive language for students to imitate. Using her natural talents and acquired skills the artist illustrates how stories and storytelling can be the embodiment of history and culture. Wanda demonstrates how traditional storytelling differs from multi-media storytelling. The students will discover that the only special effects used by the traditional storyteller to help listeners create images are words, gestures, and the human voice. Using this relevant, natural, and humanizing art form the storyteller will help listeners deal with real life issues in a non-threatening way.